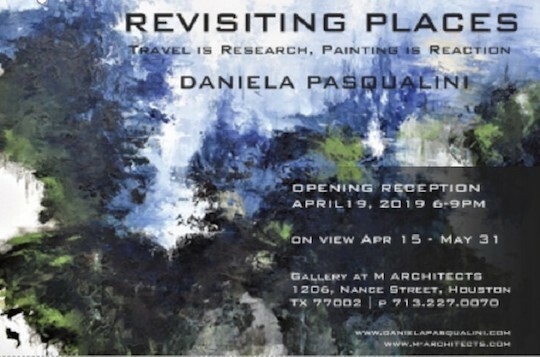 While you're enjoying the events of Houston X Design week, you're invited to drop by the the Gallery at M Architects and visit the ongoing art exhibition, "Revisiting Places: Travel is Research, Painting is Reaction", featuring the work of Daniela Pasqualini. Exhibit is on display through May 31, 2019. For exhibit hours, please contact M Architects. Login using your AIA Member or AIA Houston login information. Create an AIA Houston account to give you access to contract documents and the job board. NOTE: This account will NOT work for Resume Board, please use your national AIA account to access resumes.